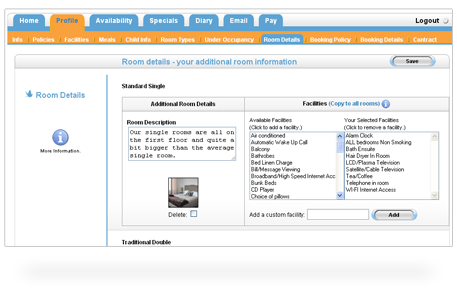 Add the booking button to your website and turn it into a booking engine. Once you have registered and completed your profile and room rates, freetobook will feed availability and booking functionality to your website. With freetobook you can add a short description of each property with a list of facilities and an image for each. It takes just a few minutes and helps present your property in the best possible light on your search results. 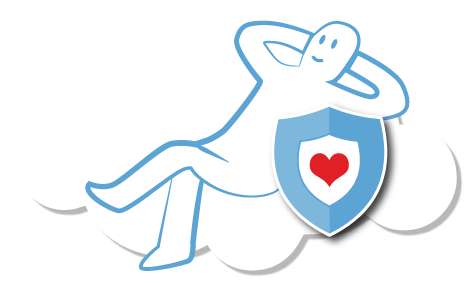 You can login to freetobook any time to change rates, add phone bookings, view your diary, check bookings, email customers, close dates and much much more. "very easy to enter bookings and change prices or availability." "adding rates, room settings, bookings, special offers.... is simplicity itself." 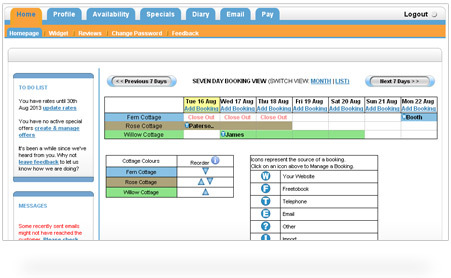 Get an instant picture of current bookings from your diary. Add phone or email bookings in seconds and email your customers a confirmation instantly. 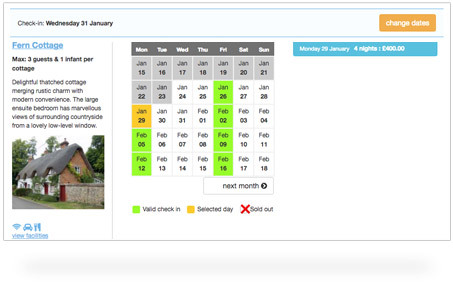 Any changes in the diary instantly update your online availability. 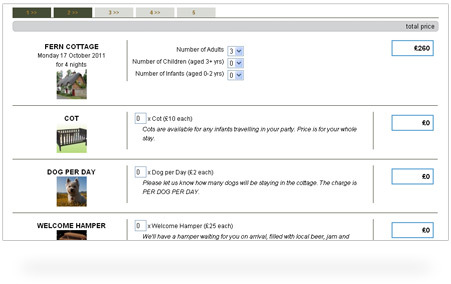 Customers will visit your website, check availability, check rates and make bookings. You receive a confirmation email with their details and they receive confirmation with your contact details. Your customers will be able to select and pay for extras during the booking process, allowing you to be fully prepared for their arrival and as well as earning extra revenue for additional services. 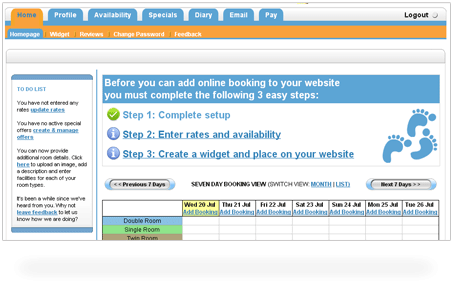 Your booking button is designed to maximise your sales. We make it easy for your customers to book wherever they find you: your website or your facebook page, blog, twitter or any other website. Your booking button works hard for you. Each button has a unique ID so you can track where the bookings came from and your return from each channel.